Erwin Rudolf Josef Alexander Schrödinger (12 August 1887 – 4 January 1961), sometimes written as Erwin Schrodinger or Erwin Schroedinger, was a Nobel Prize-winning Austrian physicist who developed a number of fundamental results in the field of quantum theory: the Schrödinger equation provides a way to calculate the wave function of a system and how it changes dynamically in time. In addition, he was the author of many works in various fields of physics: statistical mechanics and thermodynamics, physics of dielectrics, colour theory, electrodynamics, general relativity, and cosmology, and he made several attempts to construct a unified field theory. In his book "What Is Life?" 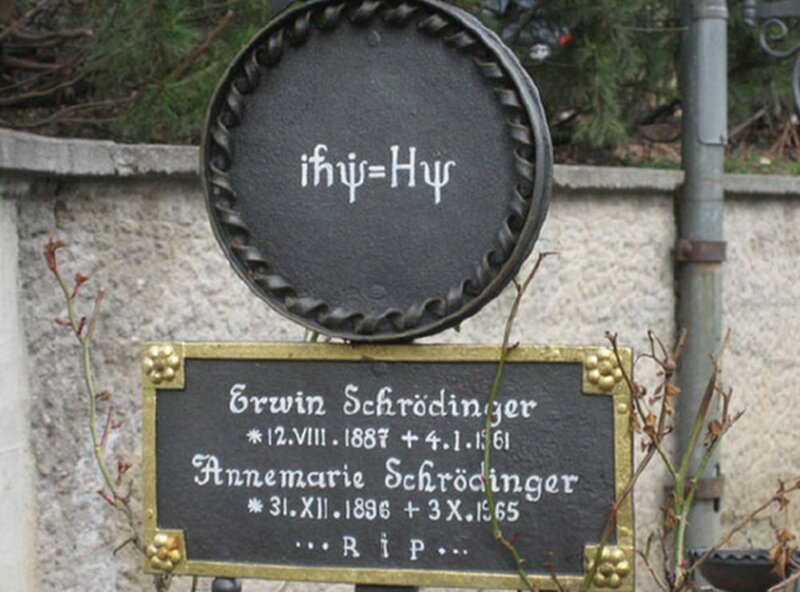 Schrödinger addressed the problems of genetics, looking at the phenomenon of life from the point of view of physics. He paid great attention to the philosophical aspects of science, ancient and oriental philosophical concepts, ethics, and religion. He also wrote on philosophy and theoretical biology. He is also known for his "Schrödinger's cat" thought-experiment. Lower is a circle, with Greek letter PSI, inside. On top is atom symbol. A wave function in quantum physics is a mathematical description of the quantum state of an isolated quantum system. The wave function is a complex-valued probability amplitude, and the probabilities for the possible results of measurements made on the system can be derived from it. The most common symbols for a wave function are the Greek letters ψ or Ψ (lower-case and capital psi, respectively). The Schrödinger equation is a linear partial differential equation that describes the wave function or state function of a quantum-mechanical system. It is a key result in quantum mechanics, and its discovery was a significant landmark in the development of the subject. The equation is named after Erwin Schrödinger, who derived the equation in 1925, and published it in 1926, forming the basis for the work that resulted in his Nobel Prize in Physics in 1933. Top left is the coat of arms. The current coat of arms of Austria, albeit without the broken chains, has been in use by the Republic of Austria since 1919. 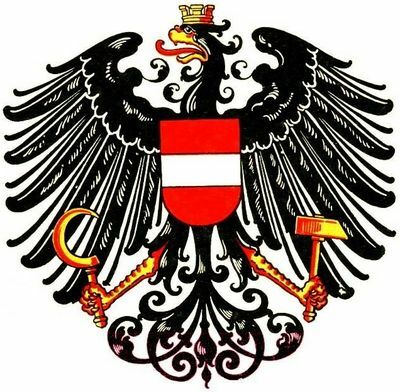 Between 1934 and the German annexation in 1938 Austria used a different coat of arms, which consisted of a double-headed eagle. The establishment of the Second Republic in 1945 saw the return of the original (First Republic) arms, with broken chains added to symbolise Austria's liberation. Gules a fess Argent, escutcheon on the breast of an eagle displayed Sable, langued Gules, beaked Or, crowned with a mural crown of three visible merlons Or, armed Or, dexter talon holding sickle, sinister talon holding hammer, both talons shackled with chain broken Argent. The broken chains: Liberation from National Socialist dictatorship (added 1945). Denominations in numerals are in three corners and at right field of banknote as background. In words top, centered. 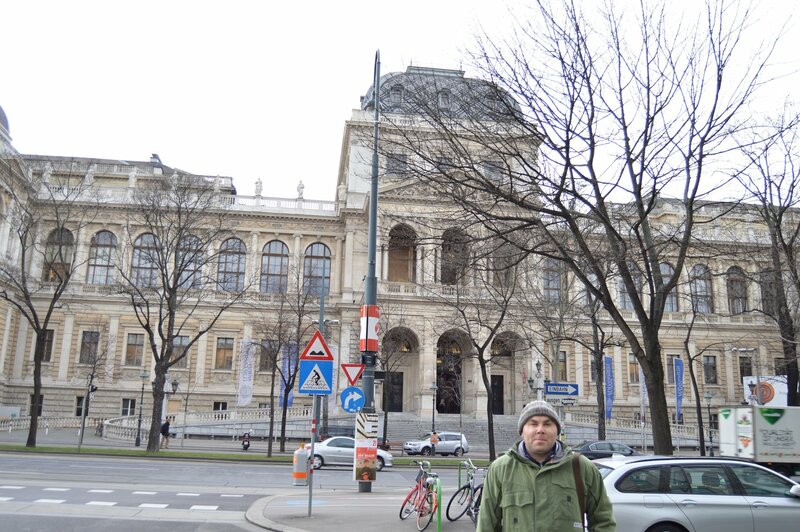 The University of Vienna occupies a beautiful palace on the outer side of the Ringstrasse ring. The middle protruding part of the facade of a Neo-Renaissance building is decorated with a magnificent portico. Across the road from the university, a marble column with a gilded winged statue is installed - this is a monument to the mayor of Vienna Johann Andreas von Liebenberg. The University of Vienna moved to this purpose-built building on Ringstrasse in 1884. Prior to this, the university was located at Dr. Ignac-Seipel-Platz, next to the Jesuit Church. 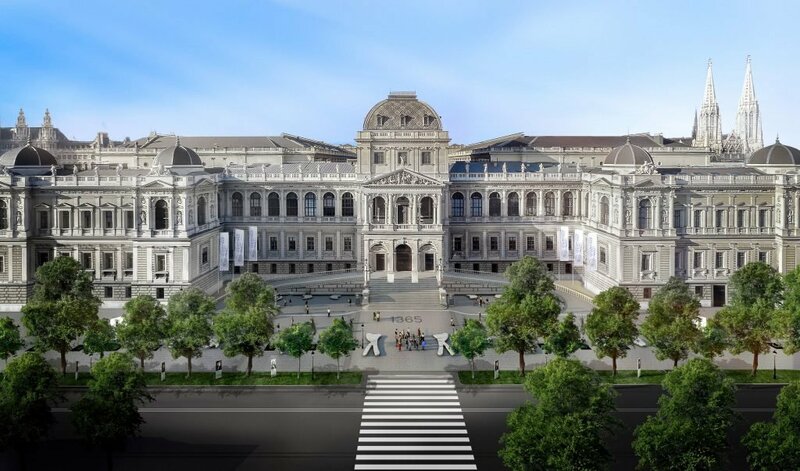 The palace on the Ringstrasse for one of the oldest institutions of higher education in Europe was built in the style of the Italian Renaissance by the project of the famous architect Heinrich von Ferstel. The names of all its rectors are stamped on a marble board in the lobby of the university. The list is impressive. After all, the history of the University of Vienna began in the XIV century. The university housed about 700 thousand volumes of an equally old library: the book collection, along with the reading room and many other useful rooms, occupied the central part of the western building. The University of Vienna is considered one of the oldest in Central Europe. It was founded in 1365 by Emperor Rudolph IV. He wanted very much that Vienna in the field of science could correspond to such scientific centers as Prague and Krakow. 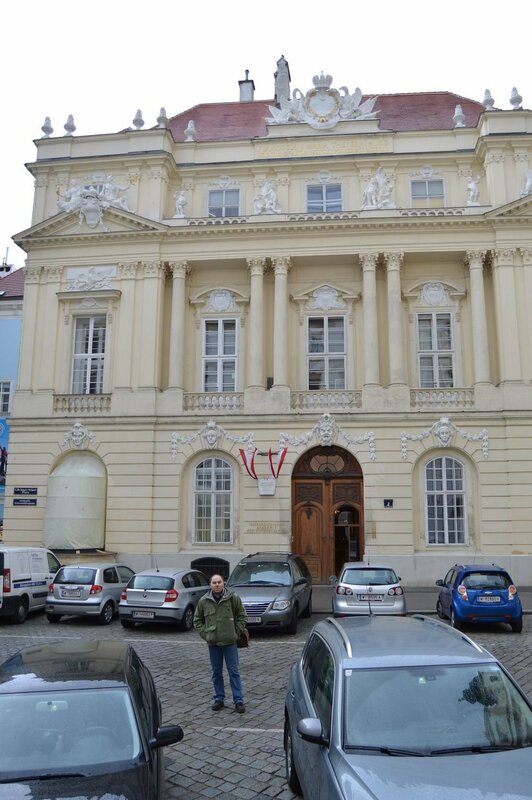 The University of Vienna initially had 4 traditional faculties: Liberal Arts, Law, Medical and Theological. In the XVI-XVII centuries. the University of Vienna was dominated by the Jesuits. 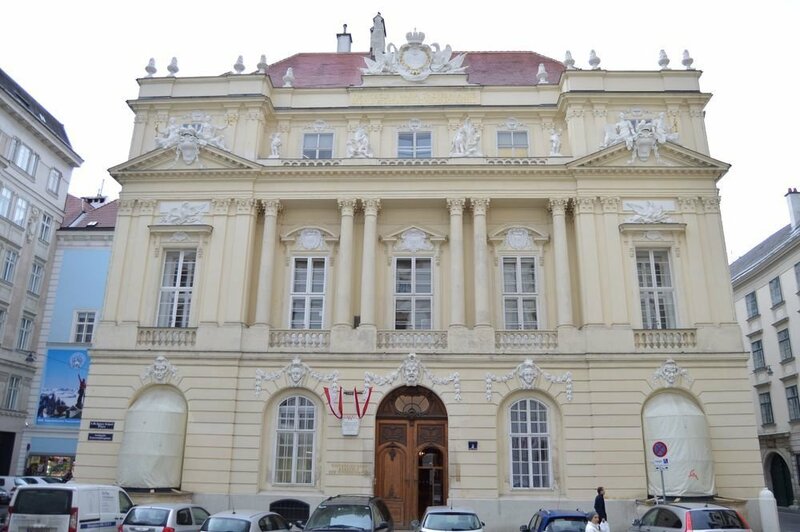 At various times, nine Nobel laureates studied and taught at the University of Vienna. Famous graduates include the founder of genetics, Gregor Mendel, the socialist Karl Kautsky, the composer Gustav Mahler, the creator of psychoanalysis, Sigmund Freud. Today, about 63 thousand students study at the university, which makes it the largest university in terms of the number of students in German-speaking community. Denominations in numerals are in three corners. In words lower, centered. Put into circulation on January 3, 1983. 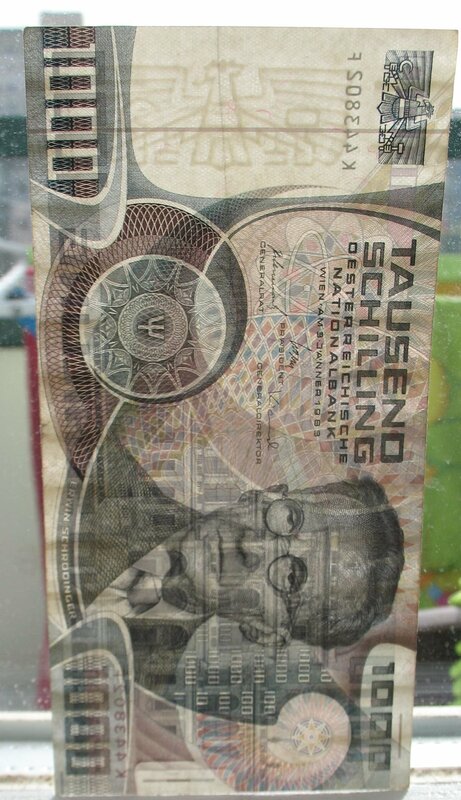 Austria - one of the first states to use in their own monetary system hologram as a means of protection. Robert Kalina (born 29 June 1955) is an Austrian designer. For the National Bank of Austria he created the T 382 design, which was the winning design of the 1996 competition for the art shown on the euro banknotes. Kalina's design was chosen by the EMI Council (European Monetary Institute) on 3 December 1996. Kalina also designed the banknotes for the Azerbaijani manat, the 2010 series of the Syrian Pound and the Bosnia and Herzegovina convertible mark.